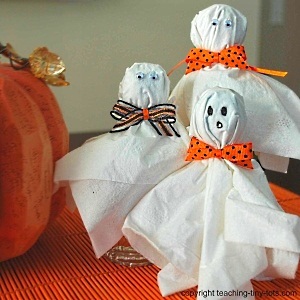 I was looking for something to send to my son’s school for Halloween Party when I came across these adorable little ghosts. I thought to myself, easy, cheap and less mess with the kiddos. Parents are going to send so many cupcakes, cookies, drinks, and candy. But I wanted to send something different. See how small those rubber bands are? you’re going to want to get the smallest you can find. They are perfect for this project. It should be snug underneath the lollipop itself. 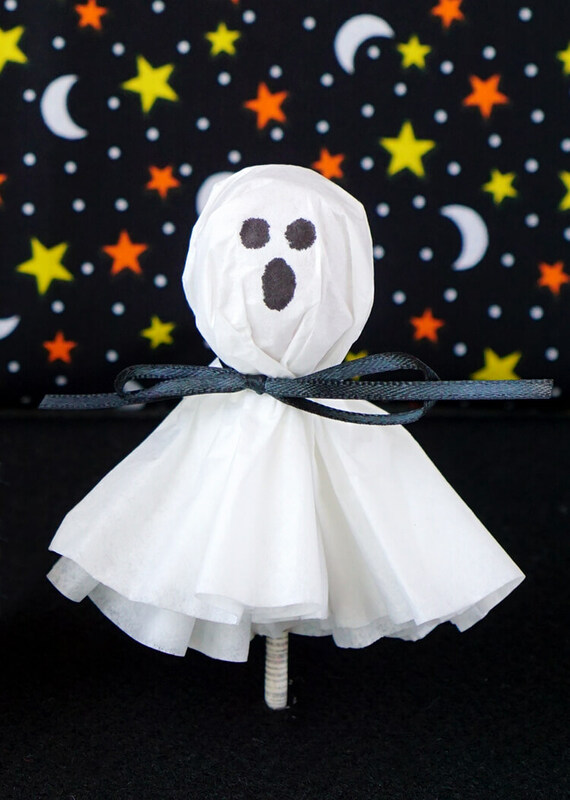 If you use coffee filters double up bot need to cut to hide label of lollipop. Cut ribbon into 7-8 inch strips and tie once, leaving as is until you decide to add tags or not. I did not, I just arranged them neatly in a basket. ( free printable tags below if you need some). dot some eyes and a mouth for the face. (CAREFUL, not to tear or spread the ink. You want to be quick and easy). Whether or not it’s for home, work or school party. this little craft number is certainly going to be a hit. It is so simple that it had me scratching my head saying “Why didn’t I think of that?”.